Please check out BCM’s new video postings on YouTube. You may view them on YouTube by clicking here. This blog is for informational purposes only. Nothing on this blog constitutes investment advice. 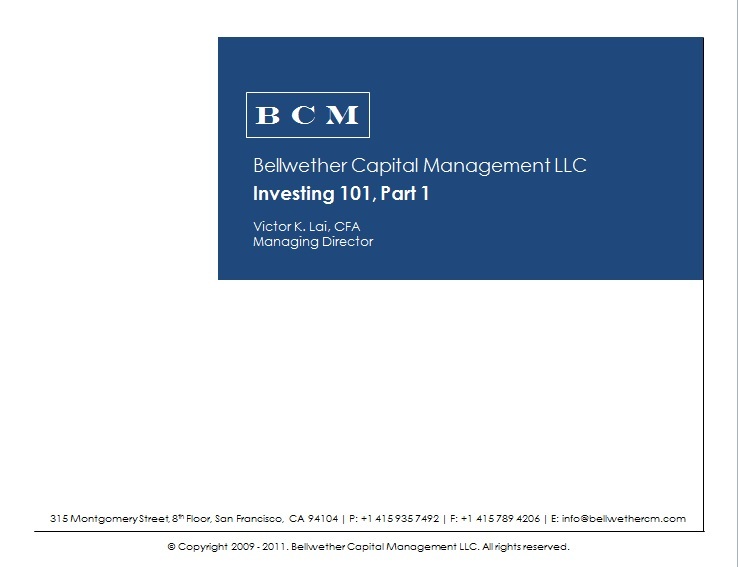 Bellwether Capital Management LLC does not provide tax or legal advice. You should conduct proper due diligence and/or consult with your professional advisers before taking any investment action.